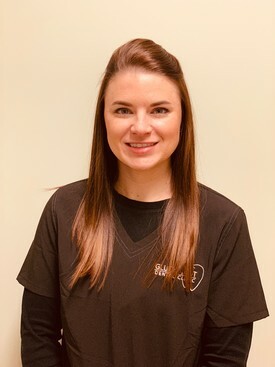 Betsy started working in 2009 as a Registered Dental Hygienist for Gluckstadt Dental Clinic and is currently serving as office manager. She resides in Ridgeland, Mississippi with her husband, Andy. She enjoys reading, playing with her cat, and spending time at home. Leigh recieved her Bachelors of Science in Dental Hygiene from UMMC. 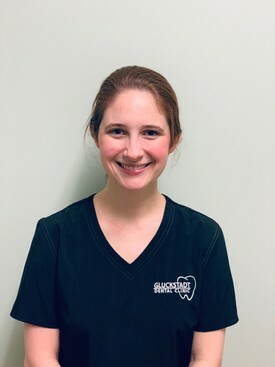 She has been practicing dental hygiene at Gluckstadt Dental Clinic since 2011. She was born and raised on the Mississippi Gulf Coast before moving to Ridgeland in 2009. She is married to her wonderful husband, Jacob and they have a cat named Olive. 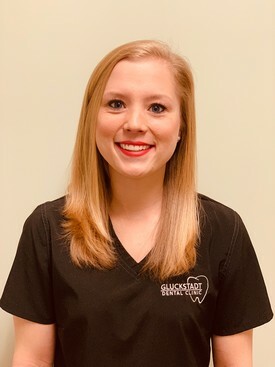 Mary Grace graduated from the University of Mississippi Medical Center and has worked for Gluckstadt Dental Clinic since 2013. She is from Ridgeland, Mississippi. She has a beautiful six year old daughter who is in the first grade. She enjoys spending time with friends and family, traveling, and trying new foods. Christy is a Dental Hygienist. She graduated from UMMC with a Bachelors degree in Dental Hygiene. Christy is married to her wonderful husband, Mark. They have two beautiful children, Luke and Annie. Christy loves spending her days off with her babies. Christy also enjoys camping and traveling with family. 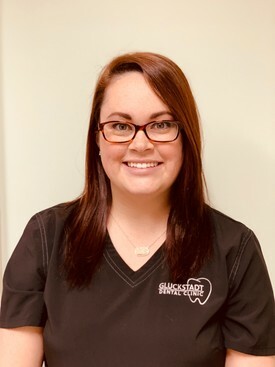 Jessica is a DANB Certified Dental Assistant and has been with Gluckstadt Dental Clinic since 2015. She graduated from Hinds Community College with an Associates of Applied Arts, an Associates of Applied Science, and an Associates in Dental Assisting. She also holds a Radiology permit as well as being CPR certified. Jessica loves her profession and caring for each and every one of her patients. She is married to her wonderful husband, Austin. Between the two, they share five children, four girls and one boy. Jessica enjoys practicing her aim at the gun range and spending time with her family. 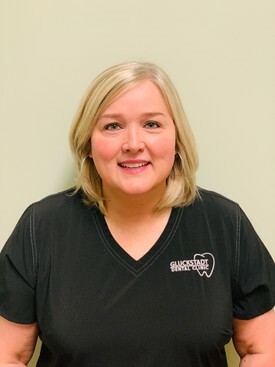 Jo Ann has been a dental assistant for 19 years and an employee of Gluckstadt Dental Clinic since 2014. She is also a Dental Assistant Instructor for Accelerated Dental Assisting Academy. She is married to her wonderful husband Anthony since 1996 and has three amazing children, Sarah, Colby, and Ashlyn. She has a spunky granddaughter, Maddy Claire, along with two beagles and chihuahua fur babies. 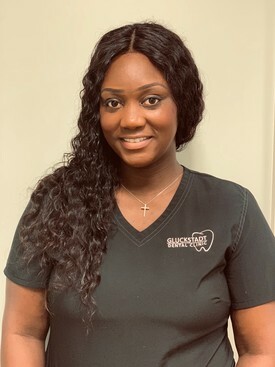 Jasmine was born and raised in Ridgeland, Mississippi. 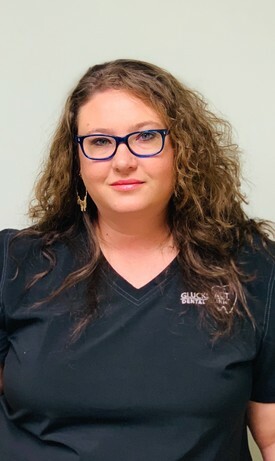 She started at Gluckstadt Dental Clinic in 2017. She received her dental assisting degree at Delta Technical College. She has two beautiful children, Caleah (6 years old) and CJ (2 months old). In her free time she enjoys traveling, shopping, cooking, and spending time with her family.